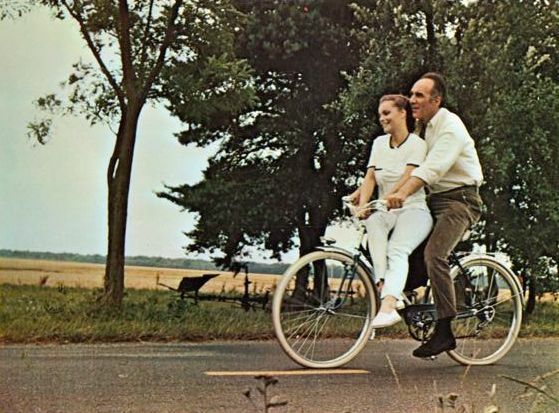 Romy Schneider and Michel Piccoli ride a bike. Romy Schneider and Michel Piccoli share a bike, and share top billing, in The Things of Life (Les Choses de la Vie), a romantic drama from Claude Sautet, about a car accident and a vital epistle. The film was nominated foe the Palme d’Or at the 1970 Cannes Film Festival.